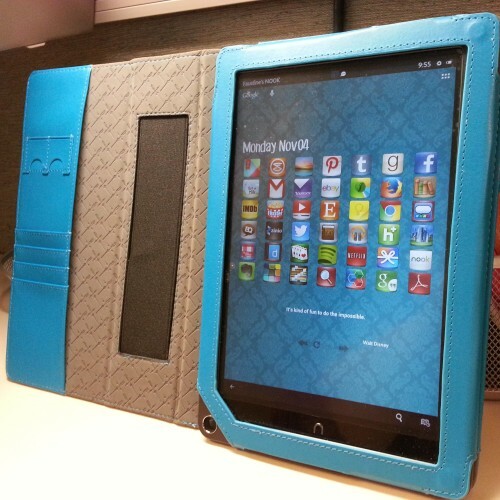 When I first got my Nook HD+ tablet, I wasn’t impressed with the BN cases available – they didn’t seem to offer the protection and slim profile I wanted, and most of them didn’t even latch closed. 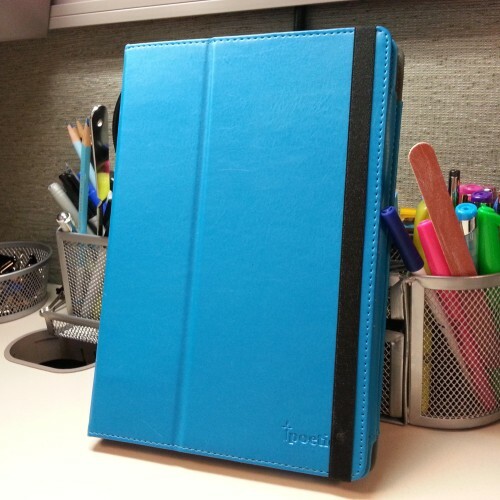 So I started to look online at other alternatives, and found the Poetic Slimbook Case for only $15. It’s seriously been the best purchase I could have made for my Nook! It has a strap to keep it closed, the case covers the front bezel of the Nook, which scratches very easily, and it can serve as a stand in landscape mode. Best of all, it comes in several great colors! I also really recommend a screen protector. I found mine at Amazon as well, and not only does it protect the screen, the texture provides much better feedback and improved screen responsiveness. ← New Pen! The Hero Lamy Clone. IN PURPLE.